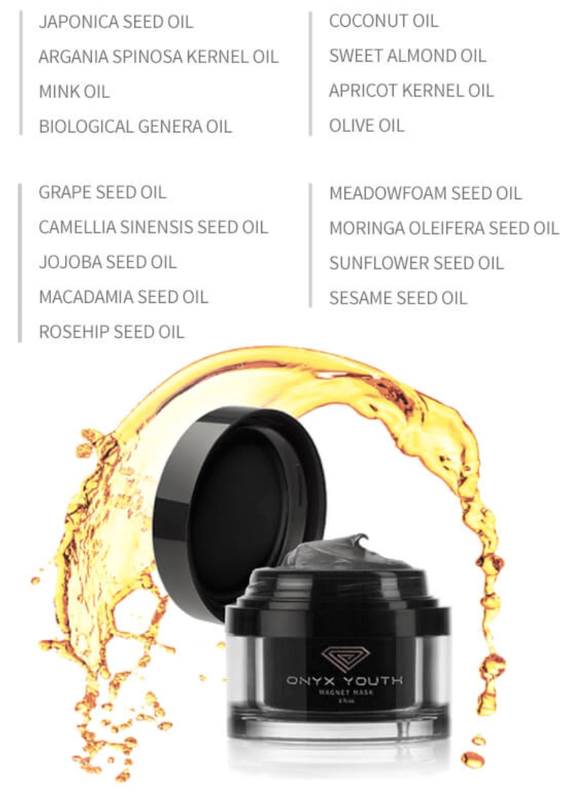 The Onyx Youth Magnet Mask uses high-quality botanical oils to enrich skin, refining its tone and texture and reducing signs of aging. Indulge in a spa experience in the comfort of your home and reveal glowing skin with Vitamins A, E and C, essential fatty acids, antioxidants and other nutrients. 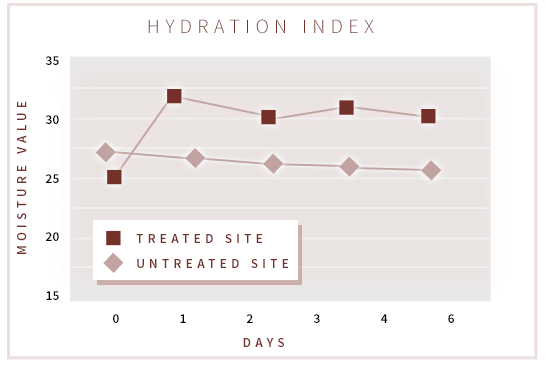 The Hydration Index shows the the value of moisture that is retained by your natural skin over time. The Amino Acid Complex in the Onyx Youth Magnet Mask keeps your skin hydrated, moisturized and aids in slowing down the signs of aging. Ash produced in the heart of volcanoes – also known as Scoria – is one of the best-kept secrets of Korean healing, and it’s key to the effectiveness of the Onyx Youth Magnet Mask. This all-natural cleanser exfoliates and protects against fine lines and sun damage, and is safe for even the most sensitive skin. The result is cleaner, more beautiful skin, without artificial ingredients. Scoria contains six extremely beneficial elements that will improve skin tone and make you look healthier and more vibrant.